Ed Barsotti, Executive Director of The League of Illinois Bicyclists discussed plans to launch a "first-of-its-kind online bike safety curriculum." The curriculum will consist of a challenging online test and dedicated website with modules emphasizing safe roadway practices for both bicyclists and motorists. It will cater to both adults and children. Importantly, the website will contain a teachers' account page to accommodate educators wishing to make the quiz a part of their own curriculum. Read more about it here. The Active Transportation Alliance is considering drafting LCIs to provide pre-event cycling instruction for prospective participates in the popular Bike The Drive and Four Star Bike Tour events later this year. Elizabeth Adamczyk, of the Ride Of Silence, is looking for passionate cyclists willing to organize rides in their towns to compliment well established memorial rides in Chicago, Bartlett and Arlington Heights. Every year for the past 10, on May 15th bicyclists around the world gather to ride in solemn solidarity to honor and remember cyclists killed or injured by motorists. Click here to learn more about the Ride Of Silence. Elizabeth can be reached at emadamczyk@hotmail.com. Like statistics? Well, on January 15, 2013, the very bike friendly city of Minneapolis released a report, Understanding Bicyclist-Motorist Crashes in Minneapolis, Minnesota, A comprehensive look at crash data from 2000-2010 and recommendations for improve bicyclist safety. Among other things, the report reveals that as the number of cyclists increased in that city the crash ratios deminished. In plain language, with an increase in the number of cyclists came an increase in the number of bike crashes. However, any individual cyclist was less likely to be involved in a crash ostensibly because motorists were more used to seeing bikes on the road. And don't forget the Friends of Cycling in Elk Grove. 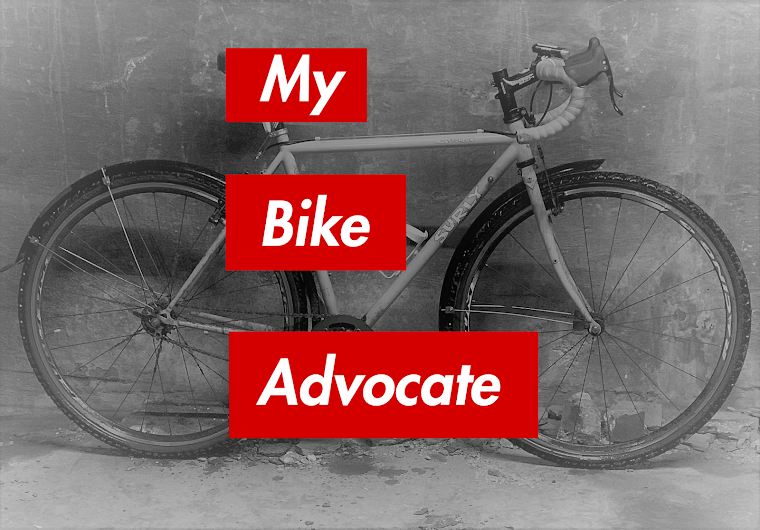 I'm glad to have made the connection that YOU are the Chicago Bicycle Advocate, Brendan. We didn't get a chance to talk, but I know we have the same bike-related interests. Absolutely! Dave, it sounds you are doing a phenomenal job out in EGV.